OSWEGO, NY – The wait is over. Oswego Speedway’s annual Open Practice session will be held this Saturday, May 6 from 1-5 p.m., with free admission to the speedway’s main grandstand. 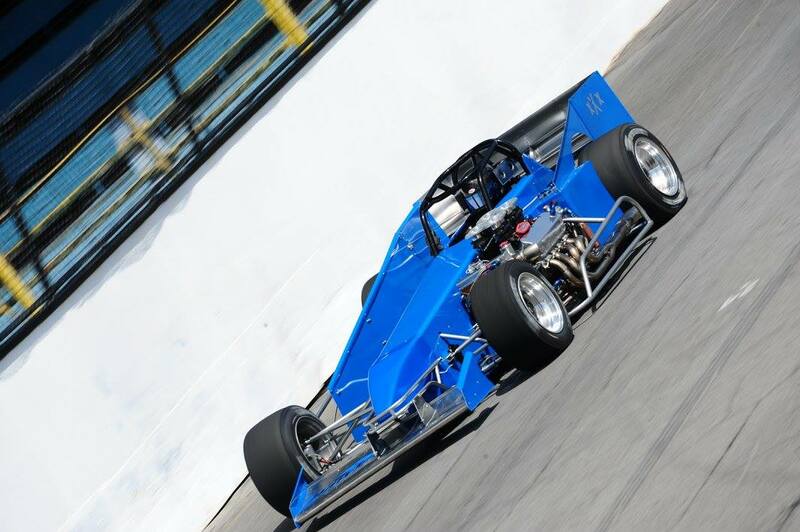 Otto Sitterly lead Supermodified Open Practice testing last season in the Nicotra Racing No. 7 machine. All divisions competing at the speedway in 2017 are eligible to take part in the four-hour-long track testing session, which pit gates will open for at 11:30 a.m. In 2016, more than 30 cars took to the track for testing. Otto Sitterly lead lap times in the Novelis Supermodified division behind the wheel of the Nicotra Racing No. 7 IFS racer, besting the field with a lap of 16.549 seconds. Mike Bond was the quick timer in the SBS division, getting the No. 74 machine down to 18.851 seconds. Both Bond and Sitterly are expected to be at the speedway on Saturday as well as Jeff Abold, Dave McKnight, Michael Muldoon, Dave Gruel, Brandon Bellinger, Lou LeVea Jr, Dave Cliff, Cameron Rowe, Mike Bruce, Camden Proud, Jack Patrick, Jesse Bearup, Jim Babcock, Greg O’Connor and more. Pit admission for Saturday’s session will be set at $25. Season pit passes will be accepted for the open practice. Kids 16 and under will again be admitted free at all Speedway events in 2017 with the exception of Budweiser International Classic Weekend. Official racing action at the Speedway begins on May 13 featuring the speedway’s 67th consecutive Opening Day presented by Mitchell’s Speedway Press and highlighted by the Race of Champions Modified Richie Evans Memorial 61 as well as kick-off events for the Novelis Supermodifieds and Pathfinder Bank SBS.